APICMO offers a wide range of products which includes 3-Amino-6-chloropyridine-2-carboxamide. It belongs to intermediates category. Contact us for more information. 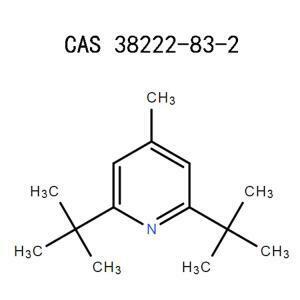 3-Amino-6-chloropyridine-2-carboxamide should be handled only by, or under the close supervision of, those properly qualified in the handling and use of potentially hazardous chemicals, who should take into account the fire. A major challenge in the development of β-site amyloid precursor protein cleaving enzyme 1 (BACE1) inhibitors for the treatment of Alzheimer’s disease is the alignment of potency, drug-like properties, and selectivity over related aspartyl proteases such as Cathepsin D (CatD) and BACE2. The potential liabilities of inhibiting BACE2 chronically have only recently begun to emerge as BACE2 impacts the processing of the premelanosome protein (PMEL17) and disrupts melanosome morphology resulting in a depigmentation phenotype. An extensive fluorine scan of 1,3-oxazines revealed the power of fluorine(s) to lower the pKa and thereby dramatically change the pharmacological profile of this class of BACE1 inhibitors. The CF3 substituted oxazine 89, a potent and highly brain penetrant BACE1 inhibitor, was able to reduce significantly CSF Aβ40 and 42 in rats at oral doses as low as 1 mg/kg. Are you interested in research, development, drug discovery, and manufacturing of products? APICMO got you covered. We produce and synthesize large amounts of pure quality 3-Amino-6-chloropyridine-2-carboxamide with quality control system under the current good manufacturing practices (cGMP). This product is subject to APICMO contract. 3-Amino-6-chloropyridine-2-carboxamide is an organic compound falling under the group of pyridines. It is an intermediate product, which you can use in the pharmaceutical industry and scientific research. 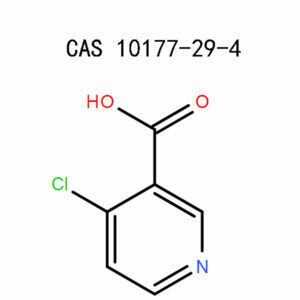 For additional info about the chemical, feel free to get in touch with our active online support team. 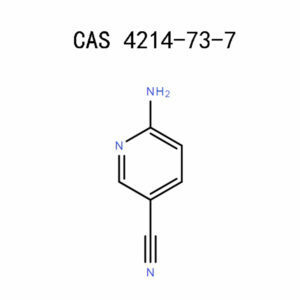 This chemical is a useful pharmaceutical intermediate. It is currently used in the study, drug discovery, and treatment of Alzheimer’s disease. This organic compound is a brown solid, available in powder form. 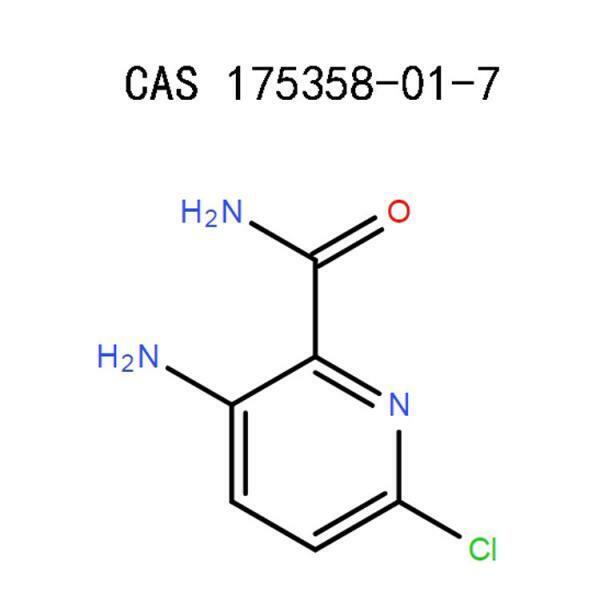 3-Amino-6-chloropyridine-2-carboxamide (175358-01-7) is unstable under high temperatures and strong oxidants. Keep it away from ignition sources. The GHS system of classification has labelled 3-Amino-6-chloropyridine-2-carboxamide as an irritant. Bearing the H-codes H335, H332, H319, H315, and H302, the product belongs to category-four hazards. It is detrimental to one’s health if it is swallowed, ingested, falls on the skin, or gets on the eyes. The damage may be acute or mild with probabilities of permanent effects, especially to the eye. The symptoms related to the eye include pain or reddening. To the skin, you are likely to observe scaling, dryness, reddening,or pain.If the exposure period is prolonged and the responsive measures are belated, the victim may seriously ail or die. Unless you are an expert or supervised by technically qualified personnel, do not experiment with this product. Make sure to understand and take into account the hazards listed on this material safety data sheet. Get yourself a PPE that will address both the chemical and airborne particulate hazards. To protect yourself against fumes, vapors, dust, or gases, use a NIOSH-approved full-face N95 respirator. If you belong to the European states, follow the EU regulations. An excellent self-contained breathing gear will not only give a snug facial fit but also filter and block the airborne particles. Other important things to put on include gloves, closed footwear, full-sleeved clothing, and a face mask. Equip your laboratory with air cleaning devices, a fume hood, fans, and exhaust ventilation. These instruments will blow the airborne contaminants away from you and replace the air with fresh circulation.Additionally, install a handy safety shower and an eye bath for convenience when administering emergency response. Other apparatuses to put in place are extinguished and a chemical incinerator for safe elimination of hazardous chemicals. When working with 3-Amino-6-chloropyridine-2-carboxamide, refer to P280, P271, P270, P264, P261, P260, and P233.Either use the product in a place with adequate aeration or work from outside. If in a room, make sure to do all the experiments in a fume hood, which will effectively manage the fumes produced.The most common but significant rule is to cover the body with the right equipment appropriately. Take into account the personal hygienic measures like washing the hands and laundering the used clothing.Collect the gloves, empty chemical vessels, and the used products in a closed container, ready for elimination.Thoroughly clean the workspace with or without spillages so that you’re geared up for the next experiment. Store this product in closed, airtight, and sealed vessels.Keep it locked away from children, pets, and any other unauthorized persons. The perfect storage temperature is below -20°C, in a freezer. However, you can still set the temperatures between 2 – 8°C if you plan to store the chemical for more extended periods. Rush the victim to an aerated location.Check on the pulse rate, wheezing sound, shortness of breath, unconsciousness, and breathing difficulties. If the person exhibits these symptoms, administer oxygen support and seek further medical assistance. If 3-Amino-6-chloropyridine-2-carboxamide (175358-01-7) splashes on your body, take 15 minutes to brush it off with copious amounts of water and some mild soap. If you had clothes on, take them off before rinsing the area. After dealing carrying out this emergency procedure, wash the soiled clothing. Being a sensitive part, the eye is likely to be damaged when first aid response is delayed. Clean it with some clean running water for not less than 15 minutes. Ensure to keep the eyes open throughout the process.Seek the attention of an eye expert in case you feel uncomfortable. Never attempt oral administration to an unconscious victim. Besides, it is inadvisable to induce vomiting unless with medical instructions. Rinse the mouth thoroughly for about 15 minutes. You can also drink at least half a liter of milk or water. Due to the possibility of acute toxicity in the GIT tract, seek assistance from a medic. Carry this data sheet and the chemical’s label with you, as reference samples. During a fire outbreak, 3-Amino-6-chloropyridine-2-carboxamide will undergo thermal decomposition and generate toxic and irritating gases.Therefore, it is in order for the user to wear an approved respirator and other protective gears. Put the fire out using a chemical foam, powder, carbon dioxide, or water spray. Contain any leaks and spills to prevent them from being emitted to the environment.Sweep up the powdery spillages without creating dust. If in liquid form, an inert absorbent like vermiculite will readily absorb the substance. Wash the workspace, vacuum, and ventilate it accordingly. 3-Amino-6-chloropyridine-2-carboxamide is incompatible with oxidizing agents, sparks, heat, water, moisture, and flames.These conditions may initiate a reaction and subsequent product decomposition. The products evolved include oxides of nitrogen, hydrogen chloride, carbon monoxide, and carbon dioxide. Every chemical should be disposed of according to their classification, as listed in the US EPA guidelines. Consult the local authorities to get a recommendation on the nearby licensed waste management companies. You can also use a chemical incinerator to get rid of the product. There are no special means of shipping 3-Amino-6-chloropyridine-2-carboxamide (175358-01-7). It is non-hazardous for all modes of transport. The manufacture, packaging conditions, and the use of 3-Amino-6-chloropyridine-2-carboxamide (175358-01-7)do not violate any federal or international chemical regulations. However, make sure to abide by the rules governing your local area. The product is strictly for research and not for therapeutic use. At APICMO, we are always geared up for scientific exploration. For this reason, our scientists major in material and life sciences, chemical analysis and synthesis, chromatography, and drug discovery. Does research and development in the science world fascinate you?If so, check in with our customer service, make a free registration, get the quotation, and make an order. 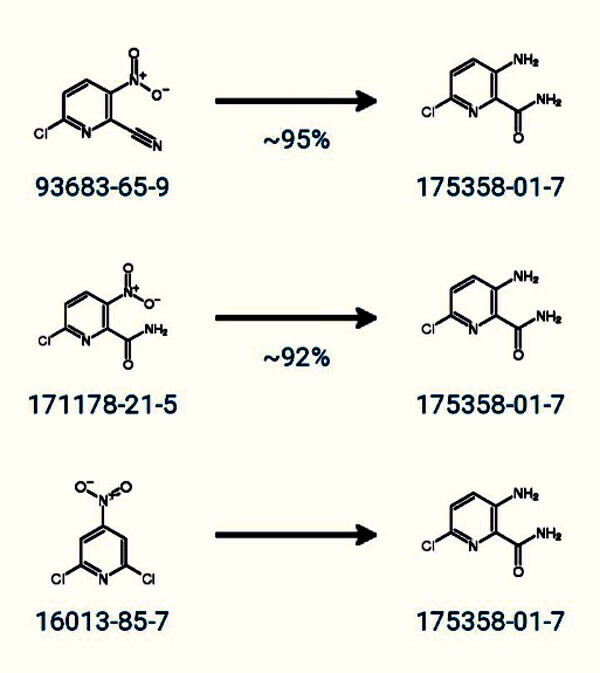 Suschitzky, Springer Science & Business Media, Polychloroaromatic Compounds 6 Dec 2012, Science, page 20-26. A. Abramovitch, John Wiley & Sons, Pyridine and Its Derivatives, Supplement 17 Sep 2009, Science , page 1002-1005. National Centre For Biotechnology Information, US. National Library Of Medicine, PubChem, 3-Amino-6-chloropyridine-2-carboxamide, Sections 1-9.